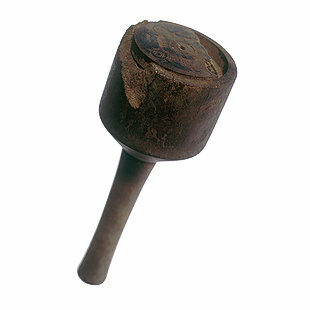 This rattle, used as a child's toy, is made of wood. It is in three pieces, one of which is large and terminates in two handles. The other two pieces are small; these are attached by means of a cord that passes through a hole in the larger piece. When the child holds the handles and shakes them, they produce a sound. This type of toy is still used to amuse children in poorer areas. This instrument was used by the ancient Egyptians as a symbol of the mother-goddess Isis. 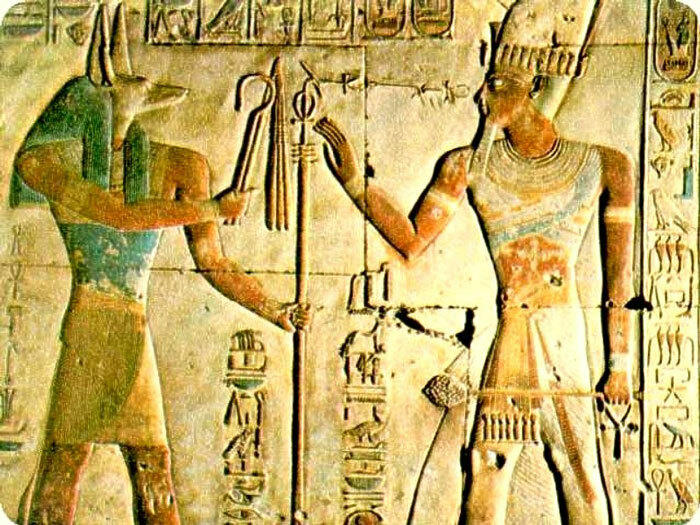 When ancient Egyptian religious customs disappeared, it was no longer used as a symbol of the gods, but the inheritance continues as a popular children's musical instrument that represents the connection between civilizations.